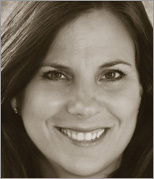 CEO of Duarte Design since 1990, Nancy Duarte passionately pursues the presentation development and design niche. One of the largest design firms in Silicon Valley and listed as a top woman-owned business in the area, Duarte Design is one of the few agencies in the world focused solely on presentations, whether they are delivered in person, online or via mobile device. Nancy's twenty years of experience working with global companies and thought leaders has influenced the perception of some of the world's most valuable brands and many of humanity's common causes. "If you are starting a new job or a new position where you will be expected to make presentations, you should consider spending some quality learning time with this book and keeping it handy." "The is by far and away the best book I have ever read on visual design." "I recommend slide:ology for presenters  and potential presenters  ages eight to 80 (and up)." "Good overview of Power Point design fundamentals, both from a design and content point-of-view, including real-world examples." "Once people saw this book on my desk, it swept through our office like wildfire. So many colleagues wanted to borrow I didn't see it for weeks at a time. Do yourself a favour and get your own copy." "This book is a must read, must have, must master reference for anyone giving any presentation who hopes to connect to their audience, spread ideas to move people, and display information in the best possible way." "The book is a delight...Keep this book handy so that each time you begin a presentation you can review all of Duarte's ideas and examples. " "Slide:ology presents visual communication tips that will help you create presentations the right way and move you beyond mediocre. " "Shell out for a copy of slide:ology by Nancy Duarte. It's bloomin' brilliant!!! It's less about PowerPoint, more about slides and visuals in general for presentations. It's not only a visual feast but chock-full of great ideas and very practical tips." "As a presentation designer, I'm looking for inspiration, and it is great to see some of the high-caliber work that Nancy Duarte has produced for her various clients. I particularly liked all of the diagram options that are covered in Chapter 3: Creating Diagrams." "No business library should be without Slide:ology, a guide to using presentation software for maximum effectiveness and eye-popping presentations." "The book is superb and immediately useful. It's not another how-to on PowerPoint, but rather a guide to "best practices" in the use of any presentation medium..."
"But, I give it four stars since it provides several excellent pieces of advice (well worth the cost of the book) and excellent illustrations of key aspects of graphic design for presentation and wowing audiences." "The book, on creating effective presentations, is meant for marketers but smart graphic designers, brand builders and visionary communicators will recognize the opportunity when they see it. Slide:ology matters because it addresses visual thinking, visual storytelling and communication using graphics." "The author, Nancy Duarte, owner of Duarte Designs (a Silicon Valley graphics firm), specializes in presentation development and design. During the 274 pages, she walks you through the creative process in fine detail. The book, beautifully illustrated, can be a modern college guide for presentation design. This approach is good. Unless youve graduated from college in the last four years, graphics has changed entirely and may invite a reintroduction." "If you ever need to give PowerPoint (Or Keynote) presentations, this book should be on your desk. Slide:ology, written by Nancy Duarte, is a well-designed and easily readable book that gives you an excellent overview on how to create great presentations." "...a valuable resource that most presenters and slide deck developers should read." "Written by the President and CEO of Duarte Design, the firm that created the presentation for Al Gore's Oscar-winning film, An Inconvenient Truth, this book intends to offer practical approaches for creating effective visual presentations. The book combines conceptual thinking and inspirational design with case studies from the world's leading brands. It explores different aspects such as connecting with specific audiences, turning ideas into informative graphics, and how to use sketching and diagramming techniques effectively." "If Leonardo was living today, he'd be doing presentations using the concepts in Slide:ology and five hundred years from now, they would still revere his genius." "This book will teach you more than you knew there was to know about creating engaging, professional presentations that get the job done."